It was only a matter of time before the big banks would be forced to address the structural flaw that has driven the financial planning scandal: vertical integration. In their latest submissions to the Murray inquiry into the financial services system the banks and AMP came out in full force to defend a model that is riddled with conflicts. It is a high-stakes game as the banks and AMP make billions of dollars a year from the vertically integrated model. With superannuation expected to outstrip the amount of money in the banking system by 2030, the race is on to stop the Murray inquiry considering anything radical such as ring-fencing their advisers. On page five of an 82-page submission, AMP argued "There is no evidence that 'independent' advice is of any greater quality than advice from other business models; indeed advice from 'independents' has proved to be the most damaging to consumers and was the driver of the original Ripoll Inquiry." AMP was no doubt talking about Storm Financial, Astarra and Westpoint, which collapsed, leaving a trail of financial ruin for the retail investors who invested in the various products. What it didn't say was in the case of Storm, it was only able to wreak such havoc because it was backed by some of the country's biggest financial institutions. They funded Storm and supported it through the many branch networks. "To claim that an independent licensee can somehow cut a swathe of financial ruin through Australian society without institutional help is ridiculous," argues one adviser. The banks argue in their submissions that the latest Future of Financial Advice (FOFA) reforms, which require planners to act in the best interests of their customers, mean any potential conflicts of interest that result from vertical integration can be controlled. But the problem with this is it is too simplistic. The structural flaw in the system is an estimated 80 per cent of the country's planners are either employed by or aligned to the big four banks and AMP. It is akin to a doctor being on the payroll of a drug company. ome are believed to run their licensee businesses at a loss because the real money is further up the vertically integrated chain. In a nutshell, in the vertically integrated model the institution gets fees and volume rebates from the financial planners for selling the product, they receive big bucks from the administration of the platform and they earn money at the funds management level. CBA whistleblower Jeff Morris has first-hand experience of the travails of vertical integration. He lifted the lid on the dark side of it when he contacted the corporate regulator ASIC about a scandal inside CBA's financial planning division. 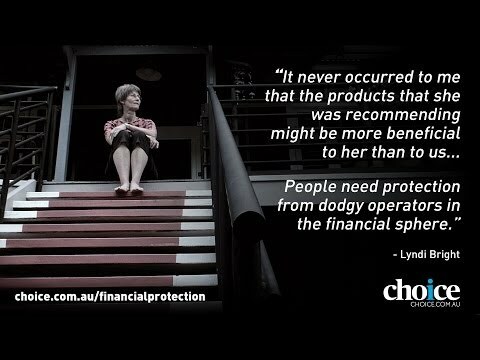 Morris is adamant dodgy Don Nguyen was not a rogue planner, but part of a fundamentally flawed, vertically integrated sales system, which uses financial planners to push their financial products on to their customers. 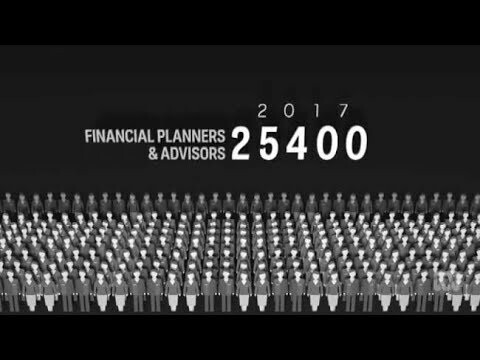 Morris believes that as long as these businesses remain vertically integrated, the "product-flogging" imperative will prevent financial planning from making the transition to a true profession. "It is laughable to suggest, as the major institutions are quick to do, that FOFA has changed this: although FOFA did cut out direct 'conflicted remuneration' it did nothing to change the practice of paying bonuses to planners based on product sales as part of a so called 'balanced scorecard' approach," he said. Morris is also living proof that while the institutions might have deep pockets and are therefore better placed to pay compensation for inappropriate advice, it can take them years before they actually pay up. In some cases they can use their deep pockets to try to squash people, as CBA did in the case of Noel Stevens, who was convinced by his planner to switch over a rock-solid life insurance policy to CBA only to have it knocked back when he was diagnosed a year later with pancreatic cancer. He spent the final months of his life fighting the bank over a $300,000 payout. He won the case and the bank appealed it after he died. The bank lost the appeal and it is estimated the legal costs ran into the hundreds of thousands of dollars. For every Noel Stevens who has the fortitude to fight the bank, how many don't?